Short-Game-Tips,Tips for The Golf Short Game. Short-Game-Tips, Golf-Tips on The Short Game. If only I had fewer shots and a better short game. I would have broken 80. Short-Game-tips can be one of the most important parts of the game. Like the mental game golfers, don't seem to work at either. Having a selection of tips for your short game is a fantastic tool to use with each and every round of golf you play. Although, golf professionals work on it regularly.The short game isn't putting. It is using your short irons and wedges to move the ball closer to the hole so you can putt. 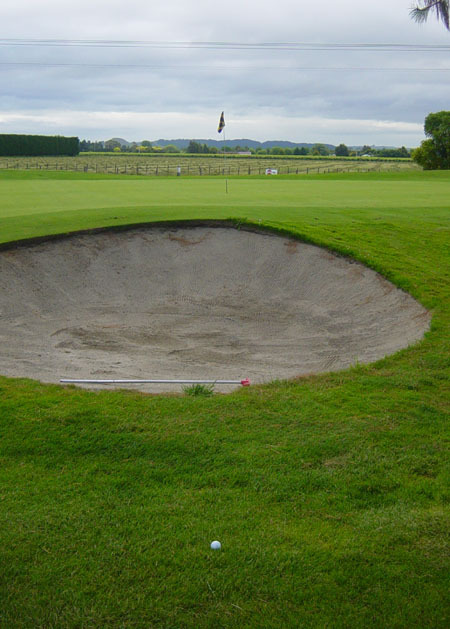 Knowing which Golf-Short-Game-Tips to use and when you need them will lower your scores. Committing to improving this part of the game will seem like drudgery, some quality tips will help.This is were you can add your own personal creativity to shoot lower scores you might even begin to enjoy this part of the game. Just think wouldn't it be great to get out of the bunker most every time without feeling stressed when ever this happens as you play. If you were to look at each hole you play starting from the putting green and worked backward to the tee blocks you could see your shoots before you set-up for them. The third hole is a 429-yard Par 4 with bunkers on both sides of the hole and one bunker about 14-yards in front of the green. Short-Game-Tips and how wedges can help you shoot lower scores. Now you need a plan to put your tips to work.There is also on the right-hand side a group of trees with thick grass.The left side is small stream that runs from the tee going past the hole. Now your focus needs to be, how will I stay in the fairway to make par or better? Taking the time to work on your short game, lets say 2 to 3 times per week for 1 hour or longer if you have the time. Applying your short-game-tips, so you know were to start. If you are fortunate enough to have a practice range near you with bunkers and putting green to chip to your have your canvas to work on. If you are fortunate enough to have a practice range near you with bunkers and putting green to chip to your have your canvas to work on. If there isn't a range near you that has all that check-out your pro shop or the web to see what you can do to help you work on your game. Your backyard if you have one could be a good second choice. Go to your Golf bag grab 3 clubs;sand wedge, pitching wedge and your 7 or 8 iron and a few golf balls. Select an area in your back yard that could be lets say 5 yards wide 10 to 15 yards long. If you have some old clothing or golf towel would be better. Use this as your target area. The idea of this is to practice short pitches and chips to the target. 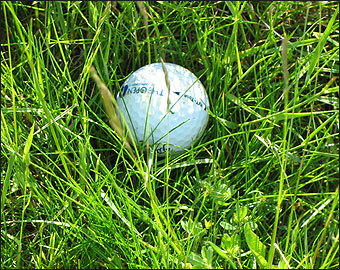 If you don't have practice balls using your regular golf balls, you will need to be very careful when using your regular golf balls. Warm up a little so as to calm your nerves. Starting with short easy chip shots. Don't forget to review your Golf-Chipping-Tips before you practice. Lets say doing this for 10 to 15 minutes. After you have done and you a certain amount of control. Start working on short pitch shots until you feel you have achieved a desired result. Golf-Pitching-Tips and your short game keep working at it. One method which can help your short game is practicing at different times of the day,weather,conditions you wouldn't normally encounter at the Golf course. Recording in small notebook which on short-game-tips work and the ones that don't, may also help you.